We sent five shoppers to a total of 24 grocery stores, big-box stores, and dollar stores in Connecticut, Florida, New York, Pennsylvania, and Texas to scan the shelves for products that had expired but were still being sold. 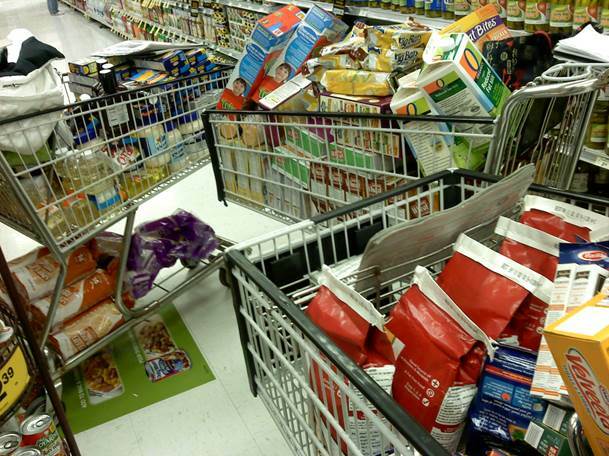 The good news: In nine stores, shoppers found no out-of-date products during their visits. The bad: In the other 15 stores, they found 51. Our Texas shopper hit the jackpot, finding outdated products at five of six stores she visited. The oldest food fossil: a box of Betty Crocker Carrot Cake mix from a Fort Worth Dollar General store. Our shopper bought it on Dec. 4; it had a “better if used by” date of the previous April 14. Among the products she found at three other stores were elderly coconut milk (eight days out of date), oatmeal raisin cookies (70 days), and potato chips (85 days). A Shopper found these and other outdated products during an hour-long visit to a Connecticut supermarket. Few types of food seemed to escape the expiration curse. Shoppers saw old frozen salmon, ground bison, pizza crust, milk, yogurt, ham salad, frosting, soup, cottage cheese, orange juice, cookies, asparagus tips, rice pudding, smoked turkey, and a shrimp platter. Except on infant formula, the department of Agriculture generally doesn’t require dates on food products, including canned goods. (For more on expired cans, see Close-up on the facing page.) But some states require them, and many manufacturers choose to include dates voluntarily. Even if an expired product doesn’t taste bad or harm you, who wants to eat it? Check sell- by and use-by dates especially on dairy items and meats. If you see an expired product in the store, tell a manager. If you’ve brought one home, consider asking for a refund. And never taste food to see if it’s spoiled. If you see an expired product in the store, tell a manager. If you’ve brought one home, consider asking for a refund. And never taste food to see if it’s spoiled. 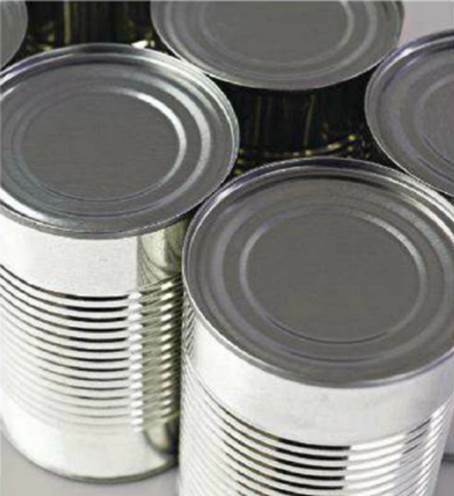 Does canned food go bad? If you’ve cleaned out your pantry and found yourself tossing outdated cans of food, you may have screeched to a halt as another soup can hit the recycling bin, and wondered: Didn’t canned foods used to last forever? Why do they have expiration dates? Didn’t canned foods used to last forever? Why do they have expiration dates? When cans display calendar dates-also known as “open dates.” To differentiate them from coded dates that only the manufacturer can decipher – they’re usually “best if used by ( or before)” dates. They indicate the time by which the maker advises eating the food for best flavor or quality. They’re not safety-related. Does that mean you can crank open a can of peaches that’s years past its prime? If the can isn’t bulging (which could indicate dangerous bacterial growth) or damaged, the contents might be safe to eat. But don’t expect old items to taste super-fresh. In general, high-acid canned foods such as tomatoes and pineapple will retain peak quality on the shelf for 12 to 18 months if stored in a clean, cool, dry place, according to the Department of Agriculture. Low- acid canned foods such as meat (Spam, anyone? ), poultry, fish, and most vegetables will retain best quality for two to five years. Even though the dates on cans are more about quality than safety, we were hard-pressed to find a company that endorsed eating outdated versions of their goods. When we asked whether it would be safe to eat a 10 –year-old can of Chef Boyardee spaghetti and meatballs that had been stored in a cool pantry or basement, a rep for ConAgra, makers of Chef Boyardee and other brands, was blunt: “We do not recommend you consume this product.” Reps for Hormel (which makes Spam) and General Mills (Green Giant, Progresso) gave similar advice about their canned foods.